Gran rendimiento de inyección de tinta para plantas de producción de cualquier tamaño en un paquete pequeño. Vuelva a contemplar el rendimiento, la eficiencia y la flexibilidad con esta imprenta totalmente integrada e innovadora de corte de rollo a hojas sueltas. Si desea más información comuníquese con nosotros al:01.800.00.Xerox (93769)Horario: de 8:30 A.M. a 17:30 P.M.
EDP Association The Xerox® Rialto™ 900 Inkjet Press won two awards at the 2016 European Digital Press (EDP) Awards. 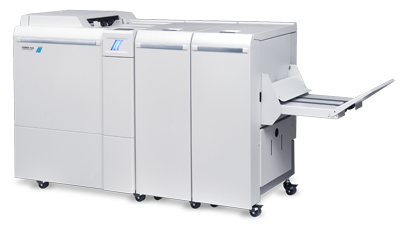 The Rialto 900 was named Best web fed color printer and Best roll to cutsheet A4+ printer. EDP honors the best developments in print production tools, software developments, substrates, inks, materials and finishing systems. 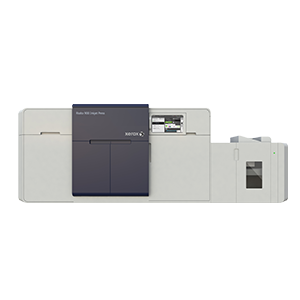 2015 MUST SEE 'EMS The Xerox® Rialto™ 900 Inkjet Press has won the 2015 MUST SEE 'EMS Best of Category, Pressroom – Digital Presses award. MUST SEE 'EMS are awarded to designate products that visitors to Graph Expo 2015, North America's largest graphic arts tradeshow, should not miss. MyPRINTResource The Xerox® Rialto™ 900 Inkjet Press has won the distinguished 2015 Quick Printing Top Product Award for Output Devices: Inkjet. The winners were elected by print service providers worldwide based on what they consider to be the most significant products introduced to the commercial printing industry over the last 15 months.